Remember Mila's Moonrise kingdom party? Did you like it? 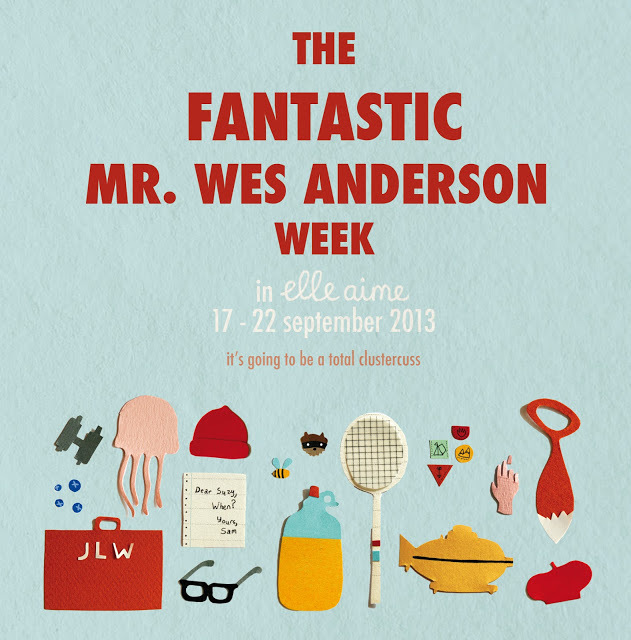 If so you will love to hear that Lisa and I will have a Wes Anderson inspired week in Lisa's lovely Shop Elle Aime in Rotterdam. The shop will be decorated in the style of Wes Anderson's movies and in the shop you can find products in the same style or inspired by these movies. We will also host a real Wes Anderson party in the shop on friday the 20th with life Banjo music, raccoon cupcakes, campfire and more.... If you like to come to the party please send me or Lisa and e-mail. On Sunday we will have a Crafternoon. Find more info here. Wat een tof idee! Veel plezier!